I don’t drink coffee of any kind. But, I am intrigued by the thought of Pumpkin Spice Latte (PSL). Not enough to TRY IT, mind you! How about as a design element for a coffee loving friend? Supplies: Stamp – Clearly Besotted, Hero Arts, paper – Doodlebug Designs Boos & Brews, Neenah Classic Crest Solar White, Stampin’ Up! Crumb Cake, Old Olive, ink – VersaFine Onyx Black, dies – Hero Arts, sequins – Stampin’ Up!, embossing powder – Filigree Fine Art Powder clear, Stampin’ Up! Classy Copper. 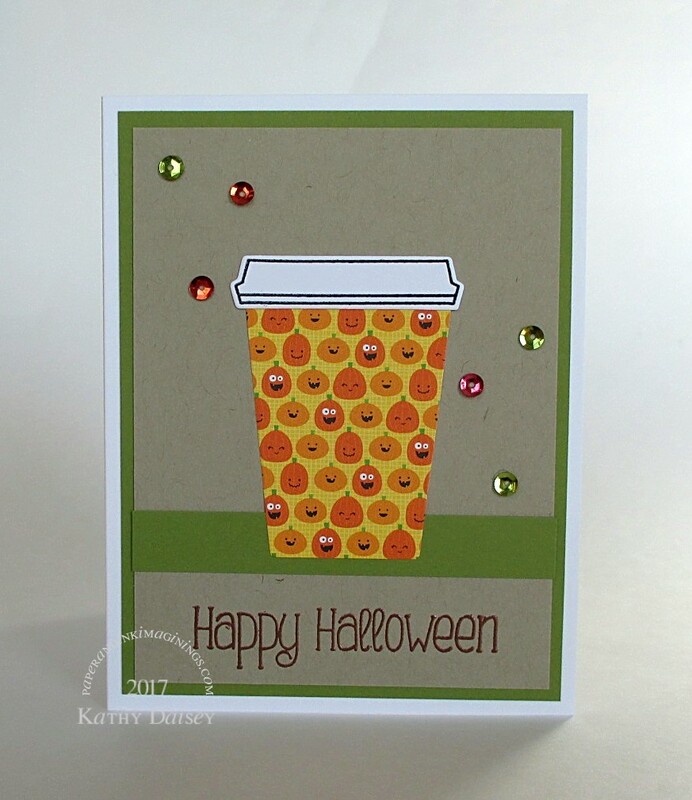 Categories: card, halloween | Tags: card, Clearly Besotted, Doodlebug Design Inc, Hero Arts, Neenah, Stampin' Up!, Tsukineko, VersaFine | Permalink.